One of the causes of facial wrinkles, especially around the eyes and forehead, is excessive muscle activity, which results in changes such as the vertical “frown lines” between the eyebrows and the “crows feet” around the eyes. Over the past decade, the mainstay of treatment for these wrinkles for patients in the Indianapolis and Carmel areas of Indiana has been BOTOX® Cosmetic, a non-invasive injection. Allergan, the company behind Botox® Cosmetic, has enjoyed a virtual monopoly in the treatment of wrinkles related to muscle hyperactivity and, not surprisingly, they have increased the cost to physicians in Indianapolis as well as the rest of the United States every year. Now there is an alternative: DYSPORT®. In the past year, the FDA approved the product DYSPORT® for the cosmetic treatment of wrinkles between the eyebrows, the vertical “frown lines”, which is the only area approved for BOTOX® Cosmetic. However, both products can be used safely in other areas of the face. The American Society of Plastic Surgeons (ASPS) has supported this approval and now includes DYSPORT® along with BOTOX® Cosmetic in its list of recommended injections for wrinkles. DYSPORT® is commonly used for the treatment of “crows feet”, horizontal lines of the forehead, and vertical lip lines. DYSPORT® works by the same mechanism as BOTOX® Cosmetic by selectively blocking and relaxing the muscle fibers into which it is injected. This relaxation allows the wrinkle to soften and fade. It is possible to only block a portion of the muscle so that natural facial expressions can be maintained. 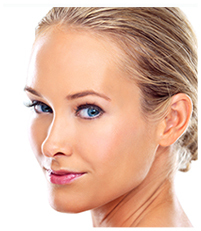 The cost of DYSPORT® is $5/unit, compared with the cost of BOTOX® Cosmetic, which is $12/unit. The amount of DYSPORT® that is required to treat a specific area is greater than BOTOX® Cosmetic, which makes direct cost comparison difficult. However, at this time the cost of a comparable DYSPORT® treatment will be somewhat less than BOTOX® Cosmetic. Initial reports indicate that the effects of DYSPORT® may last longer (about 4 months) than BOTOX® Cosmetic, which typically lasts 3 months. The combination of the cost advantage and longer effect of DYSPORT® is good news for patients in the Indianapolis and Carmel areas. 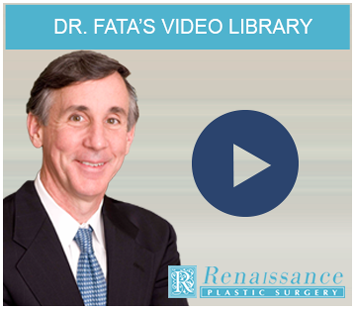 Dr. Fata is proud to be one of the first plastic surgeons to offer this new treatment. DYSPORT® is not a brand new product although it has just been introduced to the United States. DYSPORT® has been widely used in the United Kingdom since 1991, and greater than 2 million patients have been successfully treated. The record of DYSPORT® for both safety and efficacy has been equivalent to BOTOX® Cosmetic. Dr. Joseph Fata performs DYSPORT® treatments in his office in Indianapolis and Carmel, Indiana. Please call 317-575-9152 to learn more.